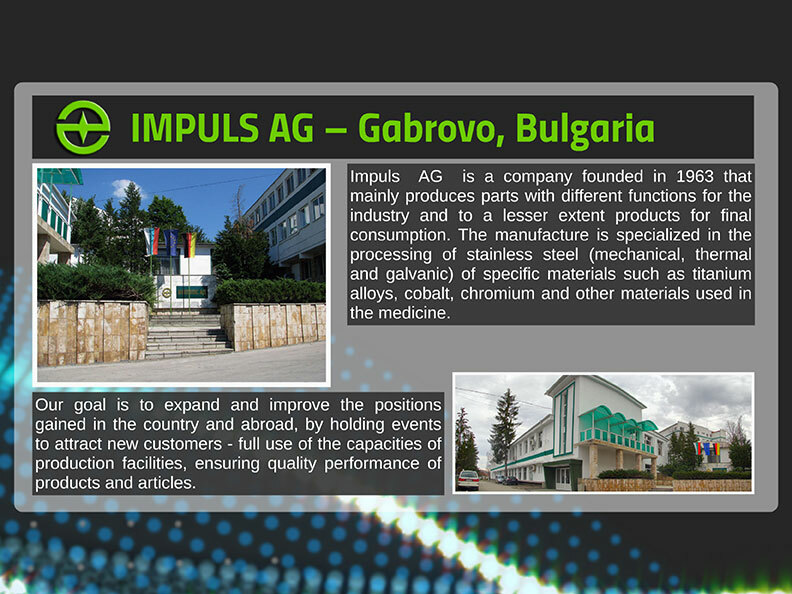 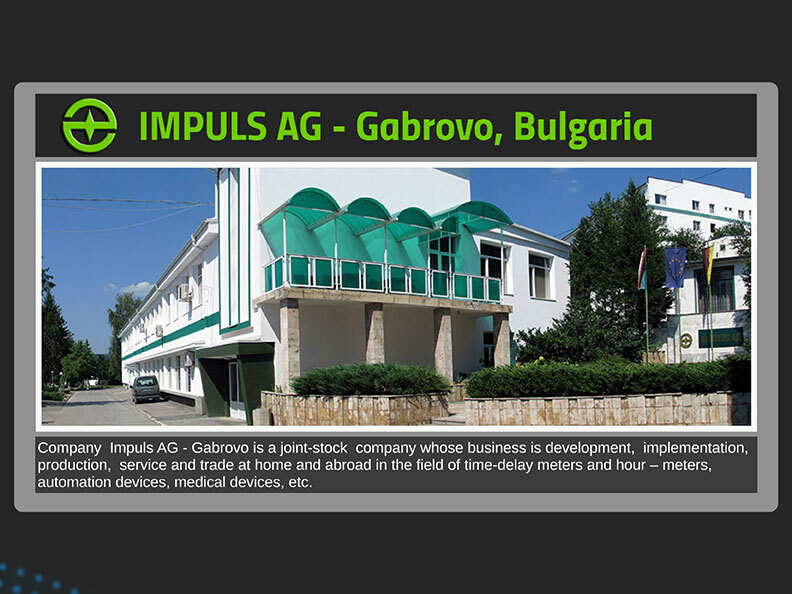 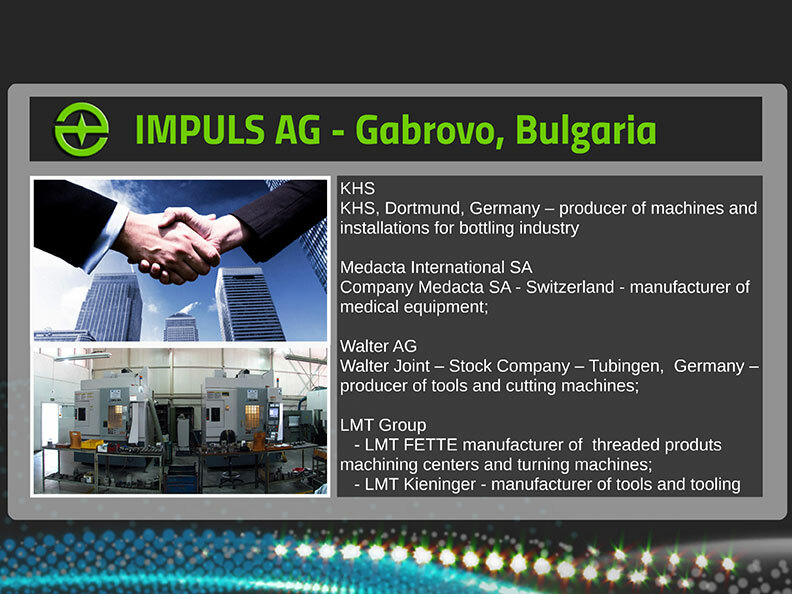 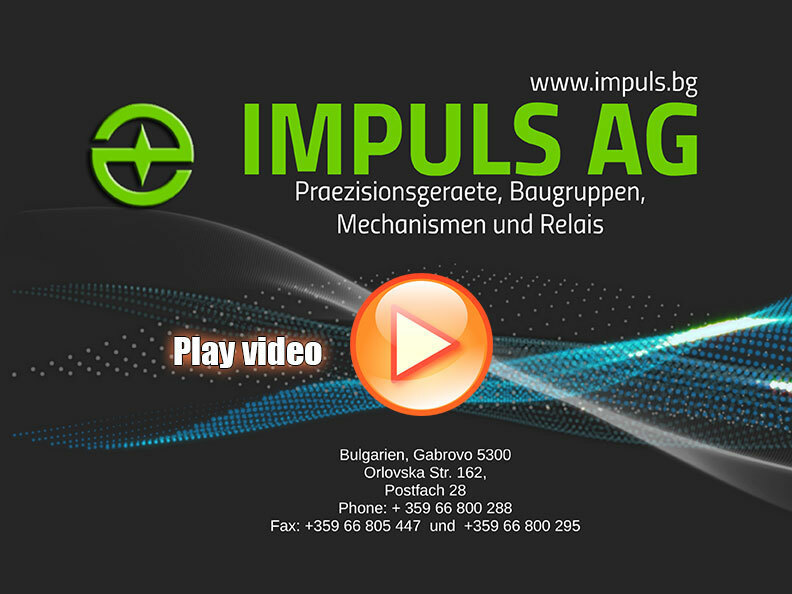 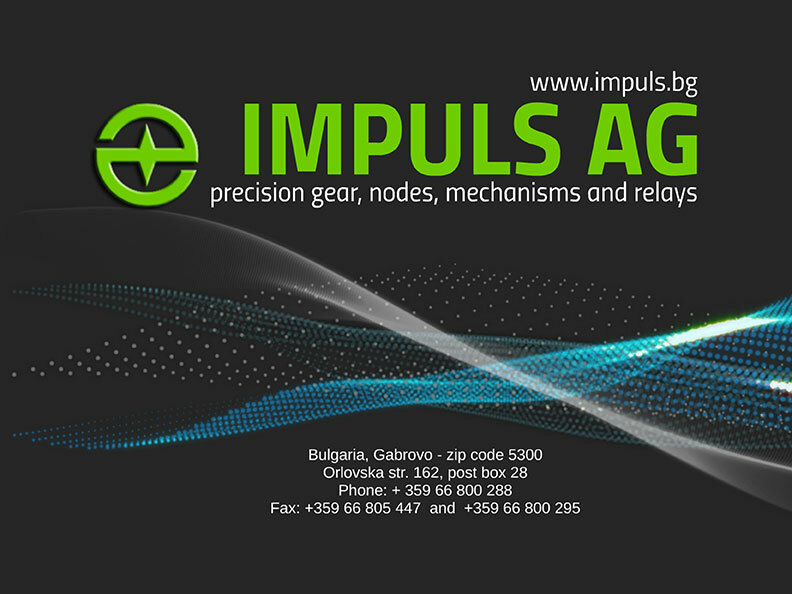 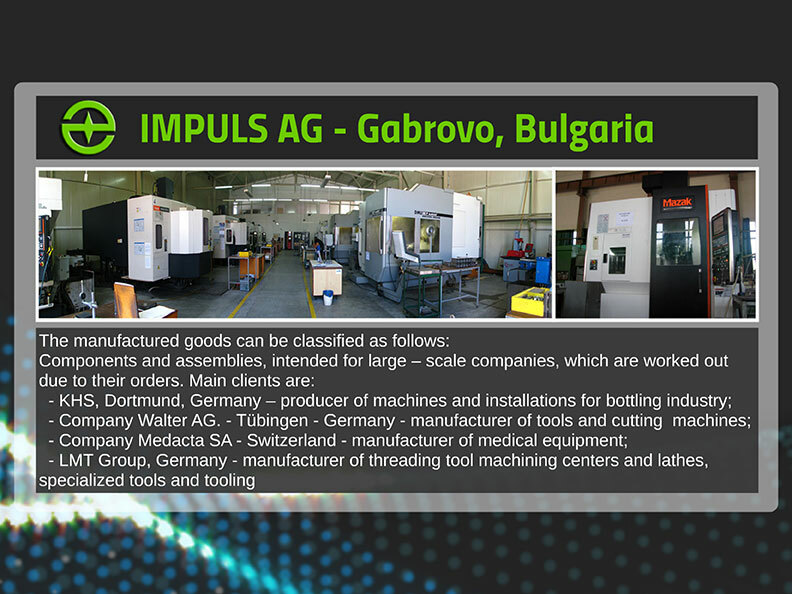 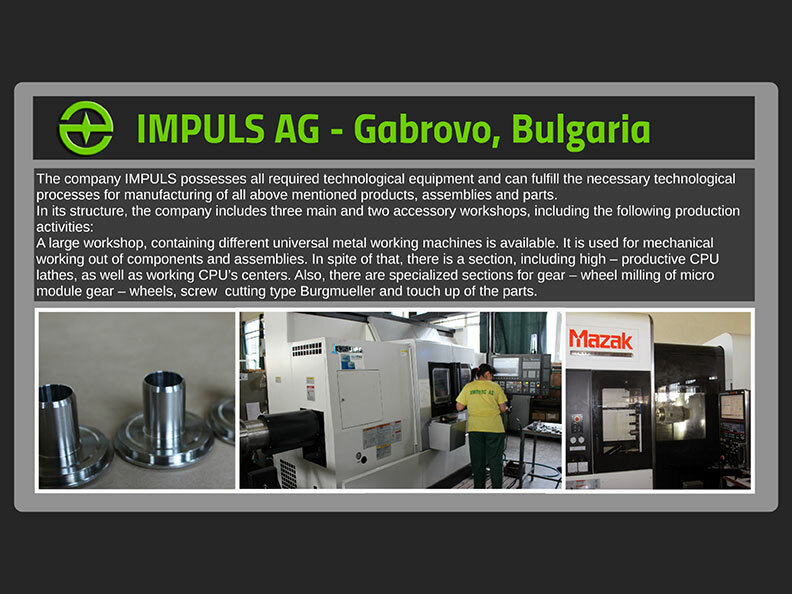 Impuls AG is a company founded in 1963 that mainly produces parts with different functions for the industry and to a lesser extent products for final consumption. 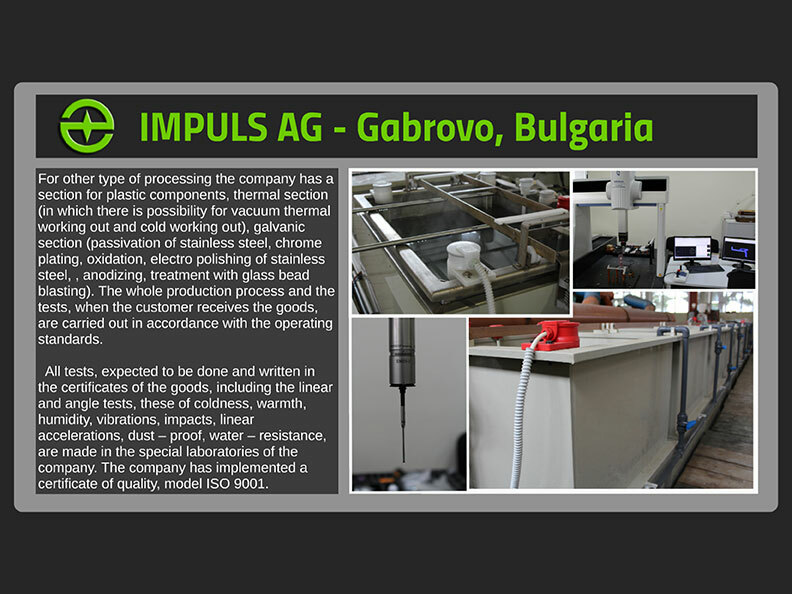 The manufacture is specialized in the processing of stainless steel (mechanical, thermal and galvanic) of specific materials such as titanium alloys, cobalt, chromium and other materials used in the medicine. 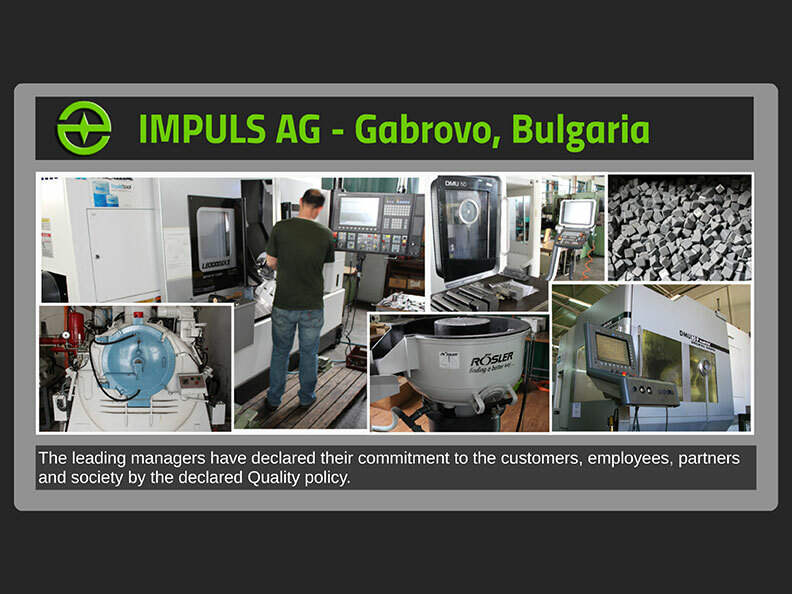 Our goal is to expand and improve the positions gained in the country and abroad, by holding events to attract new customers, - full use of the capacities of production facilities, ensuring quality performance of products and articles.